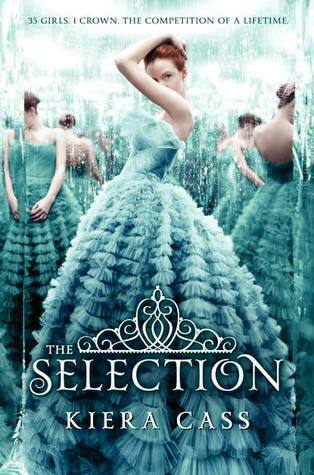 The Selection is one of those books that is deeply talked and crazed about. I wanted to read this book even before it was given a cover. I’ve been seeing some mixed reviews during the controversy. I have a hunch that most of the reviews were not truthfully made; I don’t know if this book is bad or a good one. As I reader, I usually buy books with good reviews. My boyfriend bought me the two books as a gift for my birthday. I immediately started reading book one and finished it a day after. I find The Selection riveting. I even paused to think of other books with the same plot, there’s none. It is truly unique. I’m glad I’ve read the book! As I said the plot is original, it’s like The Bachelorette set in a Dystopian world. I admit, I thought it wouldn’t work, but it did. The story is seen in America’s perspective. She lives in a world where there’s a caste system. She’s at the middle of the caste but it didn’t bother her at all as long as she has Aspen, who is a caste below her. The story took a great turn when she was selected as one of the lucky ladies who will compete for Prince Maxon’s heart. She will be living inside the palace leaving Aspen behind. She then puts a wall between her and the prince, but what if the wall is slowly crumbling down? Read this captivating book to find out more. The world-building is good. The world Kiera created is easy to grasp and to get lost into. I was captivated; the book is full of sweetness, you will know why once I talk about the love-angle. I also love the dystopian theme; I felt what it’s like to live in a world with a caste system. Unjust and deeply horrendous! She vividly described America’s world, Illea, a country divided by the caste system. A world, where one can’t truly be free, people are required to do what is good for the country and trapped in a social order. The pacing is good too. It’s a short book but I didn’t even feel that it was a fast read. Kiera made sure that the readers will be spoon fed regarding Illea and what’s happening around the kingdom. As I reader, I love how a book explains everything completely. What I don’t like about the book is.... it’s predictable. You know how the story will go. I like books that will shock me and will put me on the edge of my seat. Well, this book has none. What do I think about America…. She’s connectable but a bit unrealistic. Why? America is quite confusing at first. She‘s outgoing and outspoken then suddenly she’s shy and quiet. She longs to be at home but she thinks going home is not a good idea. Confusing right? What made me like her is how she stayed to her roots despite the ravishing jewelries and gowns. She rather be on pants or be simple. She’s not treating herself like a princess like majority of the girls in the competition. The love-angle is good! The romance actually gave this book an edge. It’s one of those books that will give you diabetes due to its sugary contents. There are many scenes that will make you knees go weak. But if you don’t like love triangle then you will not enjoy this book. Maxon or Aspen? Overall, The Selection is a gem! It’s not generic but deeply unique. If you love dystopian with romance then this book is for you. The only thing that I didn’t like is its predictability. I give this book, 4 Crown wearing Whales. Yay!! i liked it too! Woot!